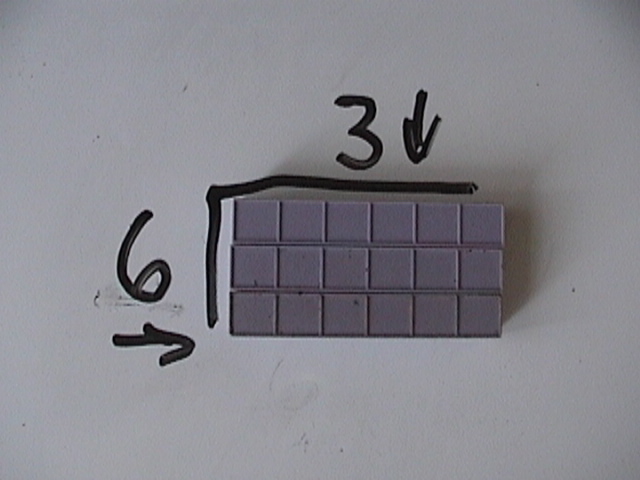 I often say it's impossible to talk about division without talking multiplication and it's impossible to talk about multiplication without talking about division especially when you use base ten blocks because you can actually SEE the rectangle. 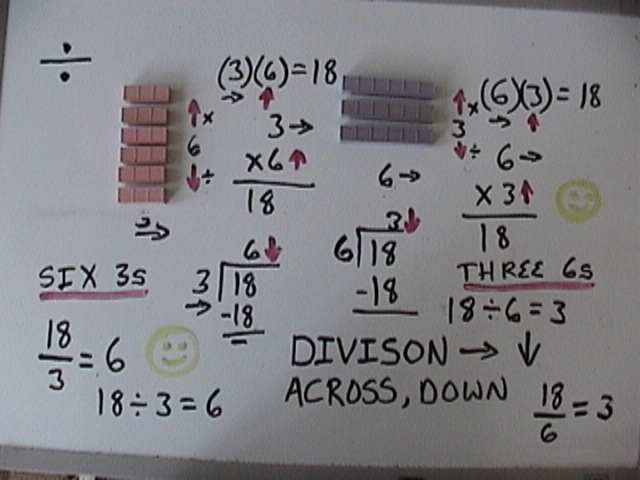 The student can SEE long division with base ten blocks whereas with symbols it may not be so clear…and you might get lost in rules and process: multiply, subtract, multiply, subtract; instead of thinking of it as a rectangle and the sides. With manipulatives it's "visually obvious" to use a Montessori term. This book makes it absolutely easy for you o teach division to your children or students. The primary prerequisite is being able to count to nine. So lets start with some simple rectangles and work our way up. Many people have these powerful tools and they use them for addition and place value and not much else. 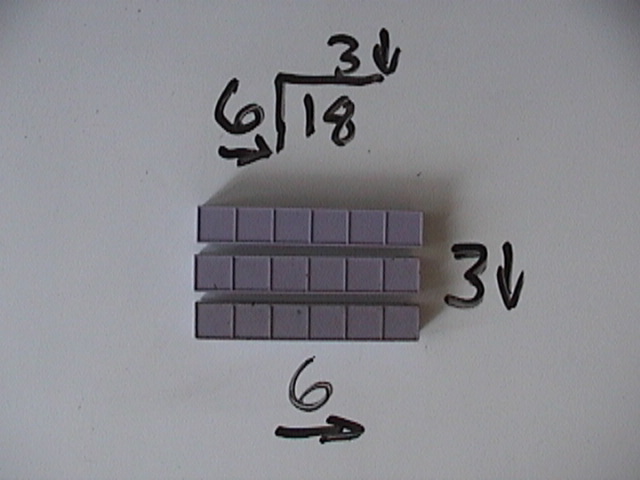 Long division with base ten blocks should start out easy--remember the prerequisite for most of the math is the ability to count to nine form a rectangle and the ability to to tell if something is same or different or not…that goes for most of the math but especially at the grade school level and especially with the basic four operations. We think of division as the last skill to master when actually it doesn't have to be taught last if you think of it in terms of the rectangle. With long division you get the most information. Keep it simple. Start small. Make sure it's EZ. We are counting a rectangle that is 3 across and contains 18. 3 is contained in 18, 6 times. 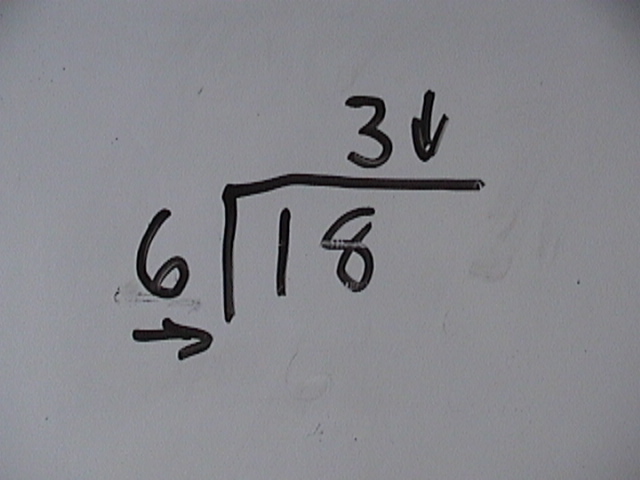 The number inside the rectangle is the dividend the thing being divided, and the number outside (the 3) is the divisor and the 6 is the quotient. Kids have a hard time reading division because of this. This is solved quite simply by saying 3 is contained in 18 how many times? We read left to right so saying 18 divided by 3 is confusing. Besides we denote that this way: 18 ÷ 3 = 6. In fact for little kids instead of grabbing six 3s, why not grab three 6s and do this problem? And here is a nice blend of symbols and blocks. We can plainly see where the symbol comes from it's just short hand for rectangle and why we count the sides the way we do. The number 18 was hidden under blocks. Dividend. Divisor. Quotient. Simple no argument. You be surprised at how many people can't figure out the syntax of Multiplicand, Multiplier, Product or think it doesn't matter. Multiplication and Division are inverse functions. the top number is the across, the number below it the up. And by the way it's Multiplicand (the thing being multiplied), then multiplier (the number of times we count the Multiplicand) and the product is the “answer”. 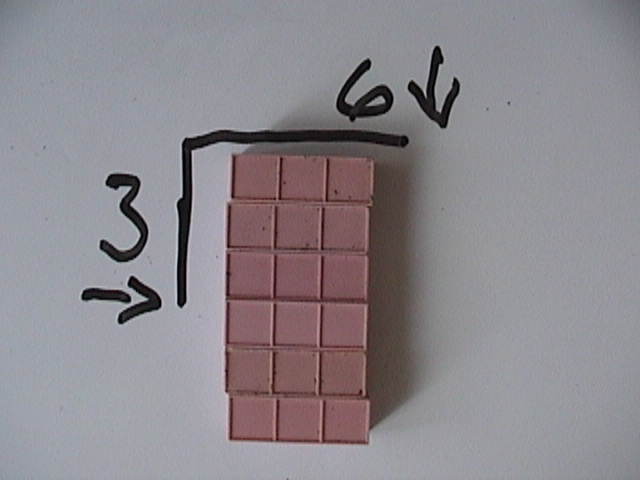 Or, since we are using base ten blocks: the sides and center of the rectangle (and the product is the inside or area). Same blocks. 6 x 3 = 18 is six taken three times. For long division we get six is contained in 18, three times...it's not a neat trick to check your work...of course the divisor times the quotient equals the dividend. Kids have no interest in these terms and you can teach an intire lesson with out them to young students. More important is the concept of inverse functions. They can SEE they are inverse functions...and at this point they see the difference between counting up for multiplication and down for division. Later we will increase the understanding but it becomes clear that these to operations are inextricably linked. Students often get a year of multiplication then a year of long division and they can get confused and fail to see the link. Worse long division has gotten a bad rap. Kids hate it. Even though it's actually EZ!! It's just the way we teach it that needs modification. Tell stories to make math accessible. Lets move on to bigger and funner things. Telling stories as you teach math makes the concepts easier to remember. Tell stories that having meaning to your students and that your students can relate to. If you were telling the story to a group of gilrs it might be the The Girl Scout story or the Cub Scout Story...I usually tell The Boy Scout Story, here is a picture of it using the blocks as the boy scouts. The Cinnamon Roll Story is great at any school. Two simple stories and we are done with the basics because once you understand the concepts you can do any problem...In the video I sneak in a little algebra because I couldn't resist and you should introduce algebra concepts right away, but you don't need to. Also you can skip the part on remainders the first time you introduce this depending on your audience. You can come back next time and tell the same stories but this time cover the remainders...with young students you can tell the same stories over and over again.. Here is a video covering the Smiley Face Division Books. You will see The Cinnamon Roll Story and a lot more. You go to books AFTER you have played with blocks drawn your own pictures and are familiar with the concepts. These books are available for sale here. 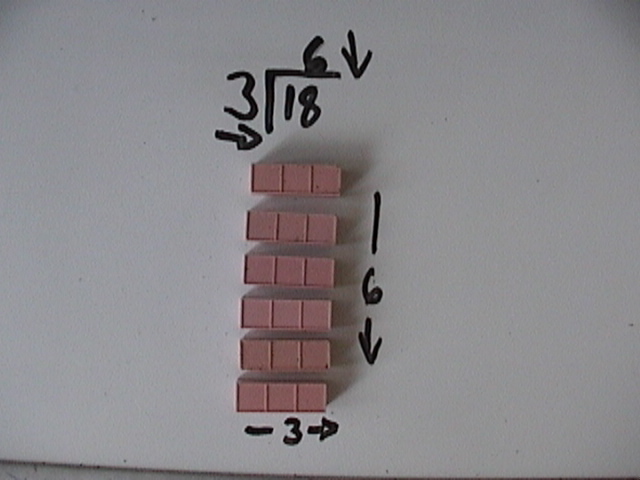 A popular blog post on Long Division With Base Ten Blocks. GET MY PDF ON DIVISION. "Life is too short for long division." ``How about we fire up the old Segway and find a nice quiet field to do long division in? I mean, a nice quiet field in which to do long division. Sorry, sorry, everybody. ''~Neil Goldman, Family Guy.